Medicalization is a means of social control and a process through which problems or non-medical experiences are defined and managed as medical problems or diseases. Medicine is increasingly dominating theeveryday life of individuals (1), thereby resulting in the social acceptance of the medicalized form of human experiences. Attaching a disease label to natural phenomena, medical professions are expanding the scope of their authority, regardless of whether these professions have the capacity to effectively manage these phenomena (2). The current paper does not intend to undervalue medical achievements, especially in the field of maternity care, but rather, aims to depict the overmedicalization of the experience of pregnancy and childbirth. Within the past two decades, medicalization has altered the concept of pregnancy and mothering experience. Pregnancy and childbirth are not viewed as natural events but as medical events (3). The increased rates of the screening and monitoring of pregnancy to reduce the risks of maternal and fetal morbidity and mortality have led to overmedicalization of pregnancy and childbirth (4). In fact, the risks associated with pregnancy and childbirth are magnified, thereby increasing the concerns of women regarding themselves and their neonates. ‘‘Expecting trouble’’ has currently become the hallmark of prenatal care, leading to an exaggerated concern in women. It is not surprising that medical interventions during pregnancy and childbirth have resulted in the increased rates of cesarean section and maternal mortality (5). Medicalization of pregnancy has even affected the natural attachment between the mother and fetus. Delayed maternal-fetal attachment could adversely influence the early development of pregnancy (6). Furthermore, medicalization has altered the perceptions of individuals toward the professional skills of midwives, and obstetricians have replaced midwives in normal deliveries (7). Although the teamwork between midwives and obstetricians is essential to the provision of maternity care, growing evidence suggests that obstetric involvement in the management of low-risk pregnancies is unnecessary and leads to increased medical interventions compared to the midwifery models of care (8). In low-risk pregnancies, the development of midwife-led care has been reported to be more cost-efficient in the reduction of maternal mortality rate compared to the current care models, while it could also increase access to antenatal care. However, safety standards should not be compromised in any maternity care model, as this would not be justified by any cost savings (9). Despite our perception of the mother’s right to make informed medical decisions, the concept of choice is not real in the medical model of motherhood, since women are treated like children and therefore "the passive recipients" of health care, and their individual identity and autonomy is neglected due to their loss of control over their body (10). Contrary to the nature’s plan that is based on the confidence and competence of women, standard prenatal care and medicalized labor lead to substantial fear, concern, and uncertainty in expecting mothers (11). Some medical interventions for pregnancy and childbirth are unnecessary and devalue the personal experiences and abilities of women in this regard (12). Therefore, the demedicalizing approach has recently been applied in the field of maternity care, playing a pivotal role in the new clinical guidelines. This has further encouraged the women’s right to choose their preferred care during pregnancy and childbirth. In this regard, the the World Health Organization (WHO) Prenatal Care Guidelines are focused on reducing the number of prenatal visits and standard tests, and the physiological process of pregnancy and childbirth. In Iran, the rate of cesarean section has been estimated to be 50 (13) and the unpleasant experiences of mothers in normal delivery (14) are the evidence of the overmedicalization of pregnancy and childbirth. Most mothers in Iran prefer medicalized childbirth under the supervision of obstetricians. The selection of Caesarean delivery within the past three decades has led to the increased authority of medicine, which in turn has diminished the role of midwives in normal delivery (15). The expansion of medicalization in this area (16) has caused significant challenges in the implementation of “natural childbirth promotion” in line with the Health Reform Plan, requiring further investigations in the disciplines of sociology, policy making and health economics. Ghazi Tabatabaie M, & Ali Vedadhir, A. Surrogacy: Medicalization of motherhood. 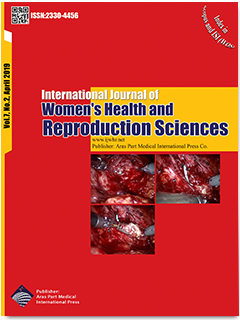 Medical Journal of Reproduction & Infertility. 2008; S, 9. Schroeder L, Petrou S, Patel N, Hollowell J, Puddicombe D, Redshaw M, et al. Birthplace cost-effectiveness analysis of planned place of birth: individual level analysis Birthplace in England research programme. 2011.